There is a hot spring in Besut which is known as the LA Hot Springs with its water temperature ranging from 45-49 degrees celcius. The water contains natural sulphur, which is said to have healing properties. Visitors flock to this spring especially those who are afflicted with skin ailments. 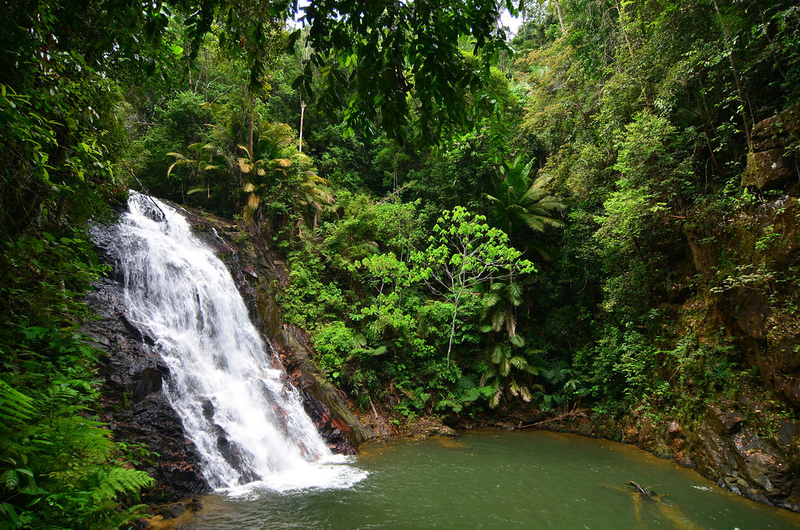 The Sekayu Waterfall is located within the Sekayu Recreational Forest in Kuala Berang. 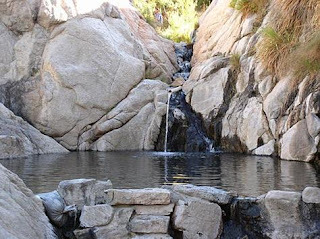 It was established in 1974 and officially launched in 1985.Seven cascades here with water-cut pools which become the natural swimming pools make it a famous retreat for visitors. In wet season, you can hear the sound of rushing water falling from a high altitude from far away as you trek up the hill towards the pool. It is a pleasure experience. Not much trekking to be done for lowest level of the waterfall except you have to climb the concrete stairs. Picnicking places and resting huts are along the way. Only when you are not satisfied with the lowest pool and intend to challenge the mountain, there the real trekking will take place. Even so, is not going to be a difficult one as the mountain is not steep. If you are an expert in trees perhaps you can name some of the names of the trees along your way up. 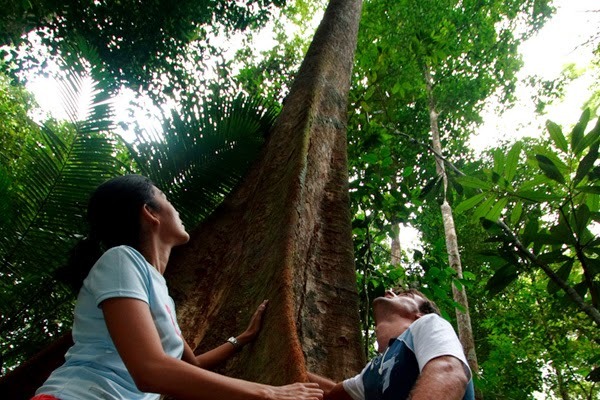 Sekayu is rich with Dipterocarp species such as Meranti and Damar Hitam (Shorea Species), Keruing (Dipterocarpus species) etc. 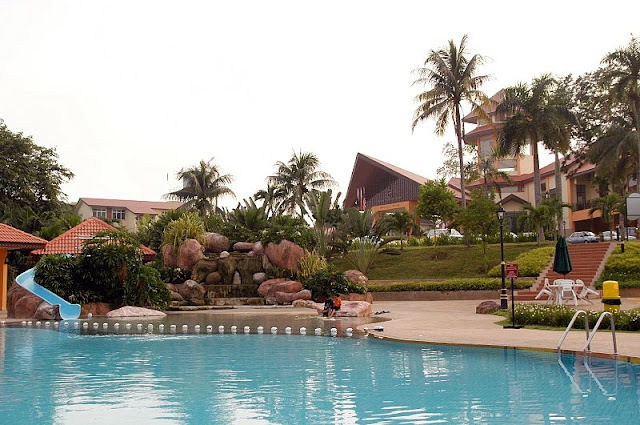 Because of the long established history, the recreational park is well facilitated with public facilities such as shelters, changing room, chalets and rest house, providing for visitors’ convenience besides three units of fully furnished chalets with the price rated between Rm30 to Rm50 a night. 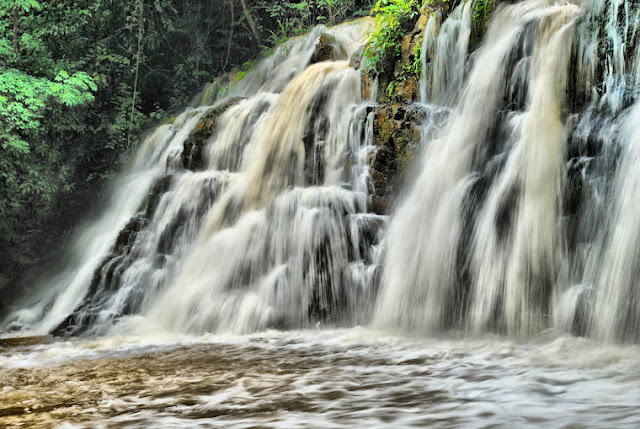 Sekayu Waterfall is said to be one of the most comprehensive picnicking and trekking area in the state. To offer more choices to the visitors, there is a fruit orchard, a mini zoo, a bird park and a flower garden. Because of the ease in access to this waterfall, during the weekends or holidays, people come here for picnic or camping (this is also partly because there are no restaurant at Sekayu, therefore you have to bring your own supply). It is no doubt why this recreational park has become one of the promoted agro-tourism destinations for the state. 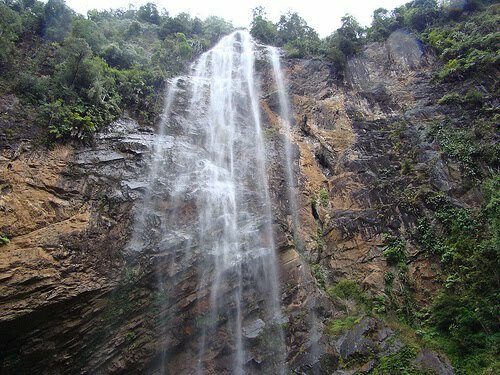 The waterfall is located 19 km from Jerteh. The waterfall offers delightful scenery of water falling over a series of immense rock shelves into a pool bordered by rock-walls. Its an integrated golf, marina and holiday destination within an eco-setting. View the spectacular sunset at the marina, spend a lazy afternoon fishing or enjoy a game of golf. Numerous sports facilities and delicious food and beverage outlets make this place an ideal retreat for family getaways or corporate retreats. Destined to be Asia’s foremost international yachting, golfing and holiday destination, Sebana cove’s claims are fast becoming a reality in the heart of the region’s fastest growing tourism belt. 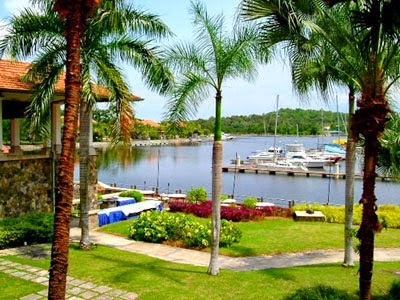 Sebana Cove is sprawled on 1,200 acres amidst the emerald panorama of tropical rainforests and mangrove. This total resort concept is the only development that parcels an international standard residential marina, a 27 hole membership golf courses, luxurious waterfront properties and a 300 room resort hotel. 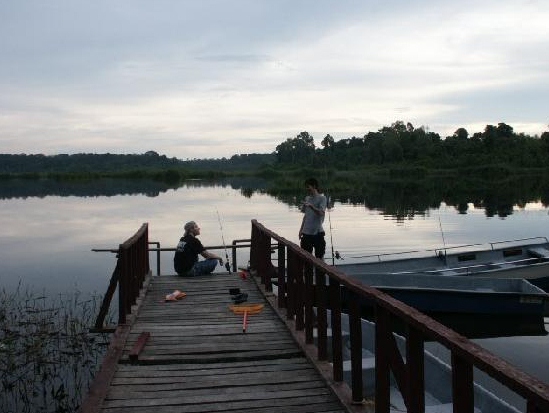 Covering about 49,000 hectares, straddles the Johor-Pahang border. It’s the one of the few remaining lowland forests. Many insects and wildlife as well as various endermic varieties of plants have been discovered within the centuries-old forest.Drained by Sungai Marong (Marong River), Sungai Jasin (Jasin River) and Sungai Endau (Endau River) and their tributaries, the park is inhabited by the Asian rhinoceros, seladang, wild pig, tiger and birds like the hornbill, babler and cuckoo. You also can found spectacular 30 metres wide and 40 metres high waterfall at ‘Buaya Sangkut’. Two other smaller waterfalls terdapat di ‘Batu Hampar’ and ‘Upih Guling’. 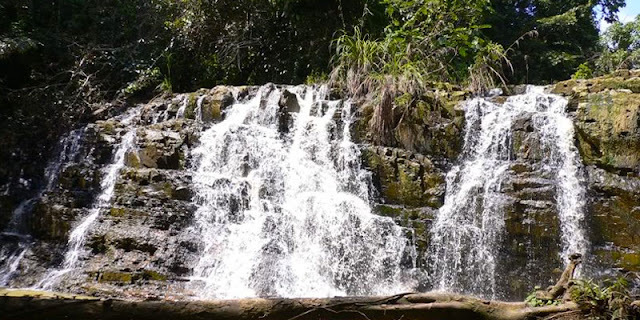 Toilets, dormitories, and camping sites are found at the base of the waterfalls. Trekking, swimming and bird-watching are some of the activities that could be arranged. Further information, please contact National Park (Johor) Corporation. 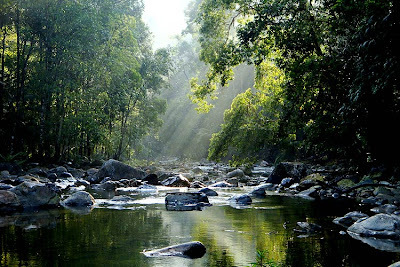 This 8 hectare forest reserve is a catchment area, unique flora and fauna sanctuary and a fascinating recreational haven. There are several waterfalls with pools at its bottom. Apart from being an ideal picnic spot, the forest is a venue for seminars, workcamp and jungle trekking to the summit of Gunung Pulai. 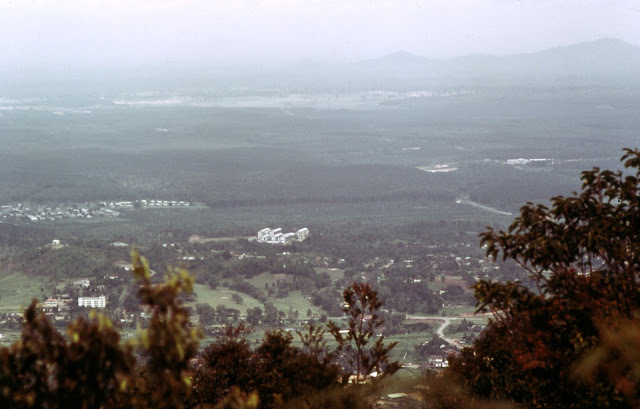 It is a recreational forest, the site of Johor’s highest mountain, Gunung Ledang (Ledang Mountain). Trekkers can climb to the summit of the mountain and camp at the Sagil Waterfall. According to legend, Gunung Ledang was the homes of a Johor princess who was wooed by the Sultan of Melaka in 15th century. This forest of towering and shady trees and natural setting offer a refreshing retreat for visitors. There are popular picnic spots by the riverside, a garden and a well equipped playground. Other facilities include rest shades, dressing room, toilet and tree-top huts. 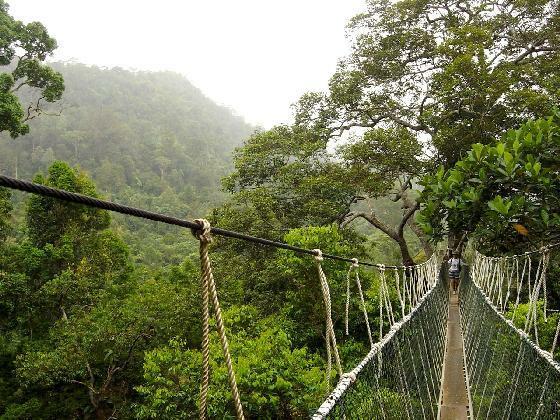 Jungle trails are also provided for the more adventurous visitors. 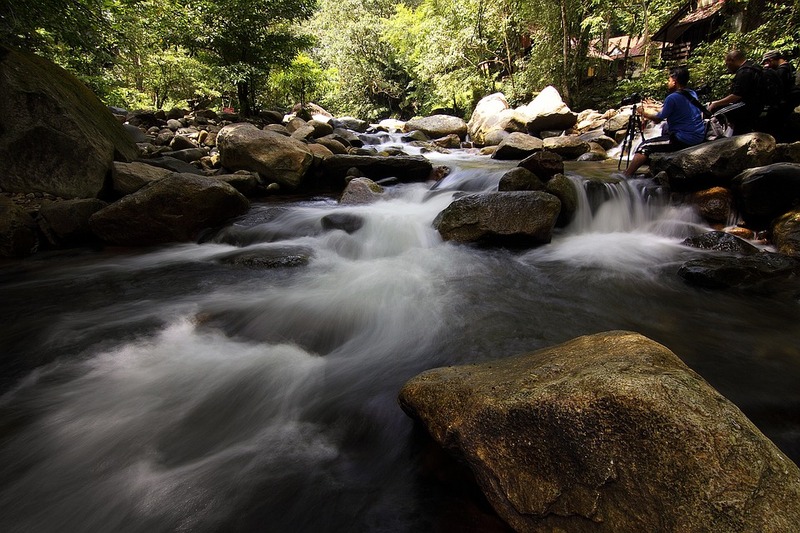 Located at the foothill of Gunung Lambak, this recreational forest is a favourite retreat for picnics, bathing and mountain-climbing. 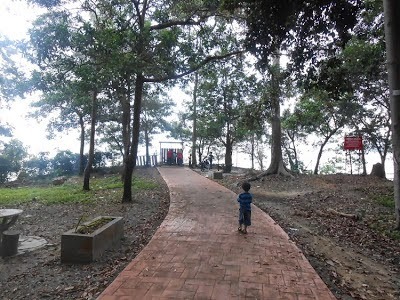 The 510 m high Gunung Lambak is accessible by footpaths provided. Facilities including car park, benches, rest shade, dressing room, toilets and bridge leading to camp sites are provided. Lush greenery and ravishing wilderness await visitors. 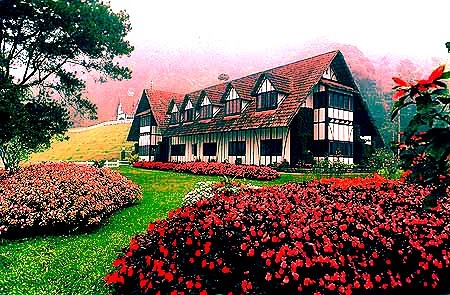 It is a haven for camping, picnics and mountain climbing. Gunung Belumut promises exotic vegetation and breathtaking waterfalls. This recreational forest is a haven for those who like to camp. Facilities including camp sites and temporary accommodation are provided for visitors. Rare species of flora and fauna can be found here. The waterfalls are favourite spot for picnics and relaxation. The water cascades 34 m down into a pool deep enough for swimming. 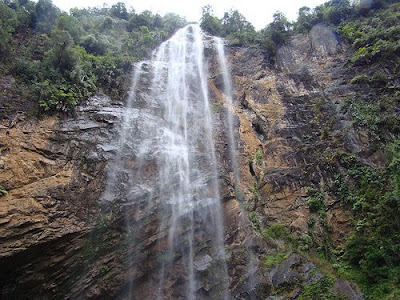 The Kota Tinggi Waterfalls for years have been renowned, not only for its continuous rush of cascading cool waters that run down the slopes originating from Gunung Panti, but also for its beautiful, tropical surroundings of flora and fauna. Fully furnished chalets complete with cooking facilities are available for booking. 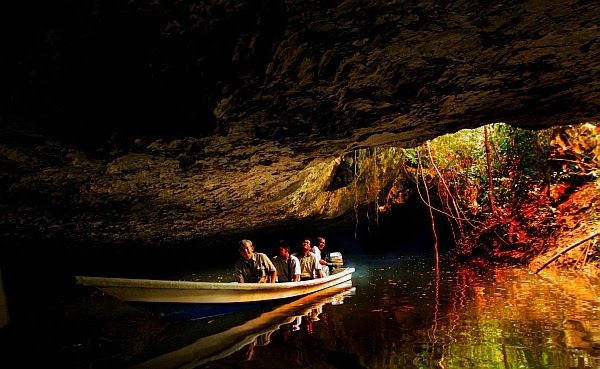 Niah is one of Sarawak’s smaller national parks, but it is certainly one of the most important, and has some of the most unusual visitor attractions. The park’s main claim to fame is its role as one of the birthplaces of civilisation. 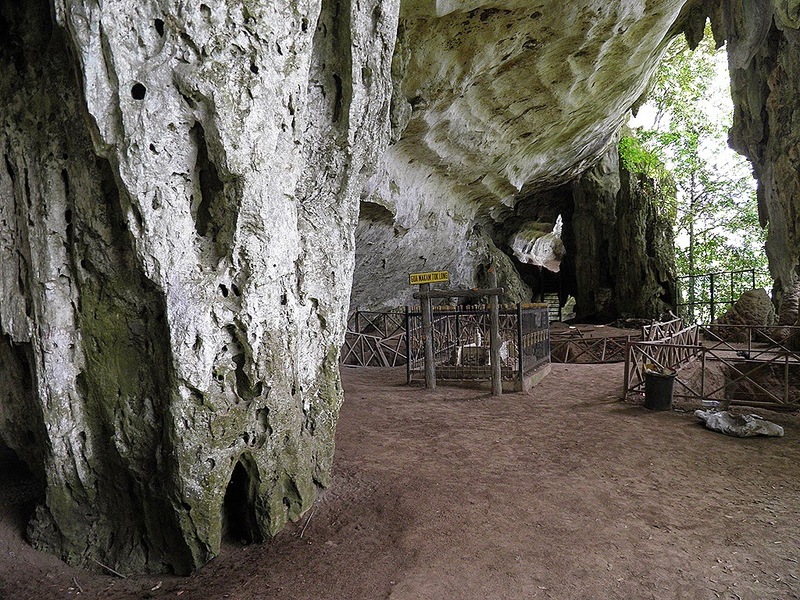 The oldest modern human remains discovered in Southeast Asia were found at Niah, making the park one of the most important archaeological sites in the world. Yet there is much more to Niah than archaeology. A vast cave swarming with bats and swiftlets; the thriving local economy based on birds-nests and guano; ancient cave paintings; a majestic rainforest criss-crossed with walking trails; abundant plant and animal life - all these and more make up the geological, historical and environmental kaleidoscope that is Niah. Niah’s importance was first realised in 1957. 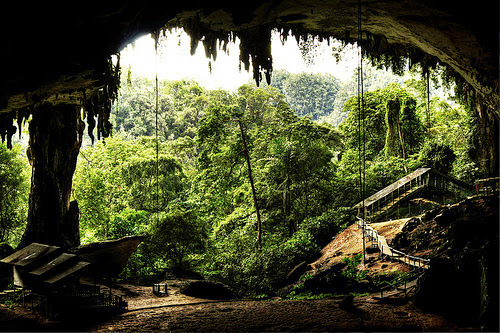 The curator of the Sarawak Museum, Tom Harrisson, led an archaeological dig at the West Mouth of the Great Cave. The excavations revealed plenty of evidence of human settlements in the area; tools, cooking utensils and ornaments, made of bone, stone or clay. The types of items found suggested a long period of settlement reaching back into the Palaeolithic era (the earliest part of the stone age). In 1958, a discovery was made which confirmed Niah as a site of major archaeological significance. Harrisson and his team unearthed a skull which was estimated to be 40,000 years old. The find was at first ridiculed by the scientific community, for it was the skull of a modern human (homo sapiens sapiens), and it was widely believed that Borneo was settled much later. However, as dating techniques improved, and as more evidence of the settlement of Southeast Asia and Australasia came to light, Harrisson was proved right. What is most interesting about Niah, however, is the continued human presence over tens of thousands of years, and the sophistication of the societies that gradually developed there. A large burial site further into the mouth of the cave had clearly been used from Palaeolithic times right up to the modern era, as late as 1400 AD. The earliest graves, found in the deepest levels, were simple shallow graves without adornment. Yet moving up through the layers, coffins and urns appeared, along with grave goods such as pottery, textiles and ornaments, and even glass and metal items, which came comparatively late to Borneo. The Great Cave is not the only important archaeological site. The Painted Cave, as its name suggests, houses detailed wall-paintings depicting the boat journey of the dead into the afterlife. The meaning of the paintings was explained by the discovery of a number of “death-ships” on the cave floor - boat-shaped coffins containing the remains of the deceased and a selection of grave-goods considered useful in the afterlife, such as Chinese ceramics, ornaments and glass beads. The death-ships have been dated as ranging between 1 AD and 780 AD, although local Penan folklore tells of the use of death-ship burials as late as the 19th century. 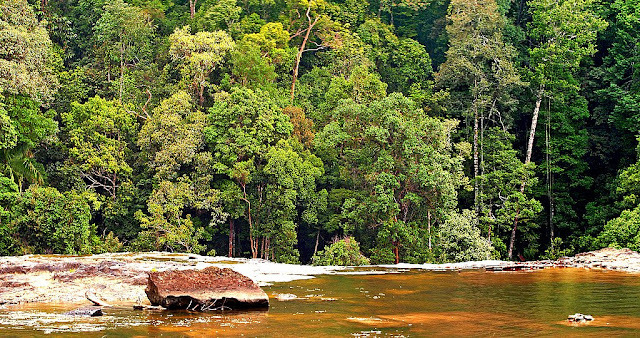 Niah National Park is located on the Sungai (River) Niah, about 3 km from the small town of Batu Niah, 110 km south-west of Miri. The park was first gazetted as a National Historic Monument in 1958, and in 1974 some 3,100 hectares of surrounding rainforest and limestone hills were included, to form Niah National Park. The park has a visitor centre and good accommodation, and is very easy to get around, thanks to an extensive network of plankwalks to and throughout the caves. A torch (flashlight) and good walking shoes are absolutely essential - the caves are unlit, and the plankwalk can become slippery from the constant dripping of water from the ceiling of the cave. A wide-brimmed hat is desirable, for obvious reasons. The majestic Gunung Mulu, rising over a mass of sandstone and shale, 2376 metres above sea level, dominates the Gunung Mulu National Park in the Miri and Limbang Divisions. The Park covers 52,866 hectares of shale and sandstone flanked by limestone outcrops with virgin tropical forests at the lower slope giving way to montane vegetation in the upper regions. It was gazetted as a National Park in 1974. The mix of natural habitats in all its diversity amidst such wild and rugged scenery makes it one of Sarawak’s most popular destinations. Foremost among its attractions are the spectacular pinnacle rock formations tucked in the valley of gunung Api and its cave complex which can only be described in superlatives. Despite its ruggedness, the park is easily accessible and there is a range of activities to keep everyone busy and happy. Tucked away on the upper reaches of the Sungai Bunut in the Miri Division, is a huge lake, the largest natural lake in Sarawak. 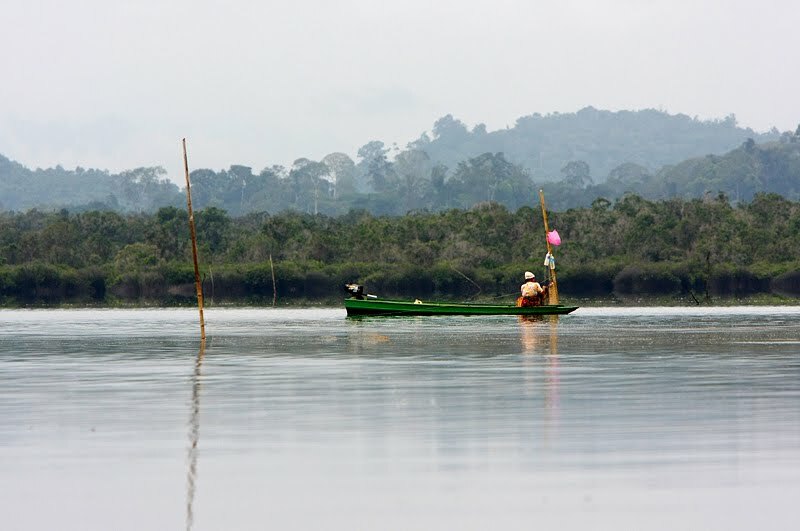 The local Berawan Fishermen call it Loagan Bunut. 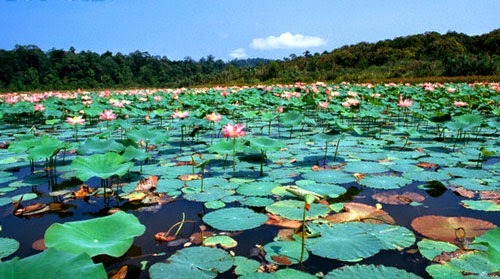 In 1991 an area of about 10,736 hectares encompassing the 650-hectare lake was gazetted as a National Park as part of the on going effort to preserve the unique habitats, rare and valuable plants and wildlife indigenous to the region. 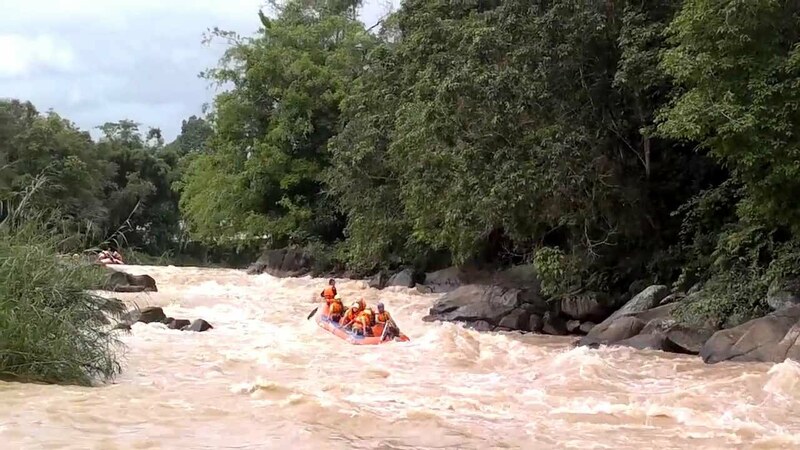 The lake is utterly dependent on the Sungai Bunut, Sungai Tinjar and Sungai Baram whose water levels are subject to seasonal fluctuations and this accounts for the fluctuating levels of the water in Logan Bunut. During spells of extreme dryness, usually lasting between 2 to 3 weeks, the lake is converted to vast expanses of dry cracked mud. 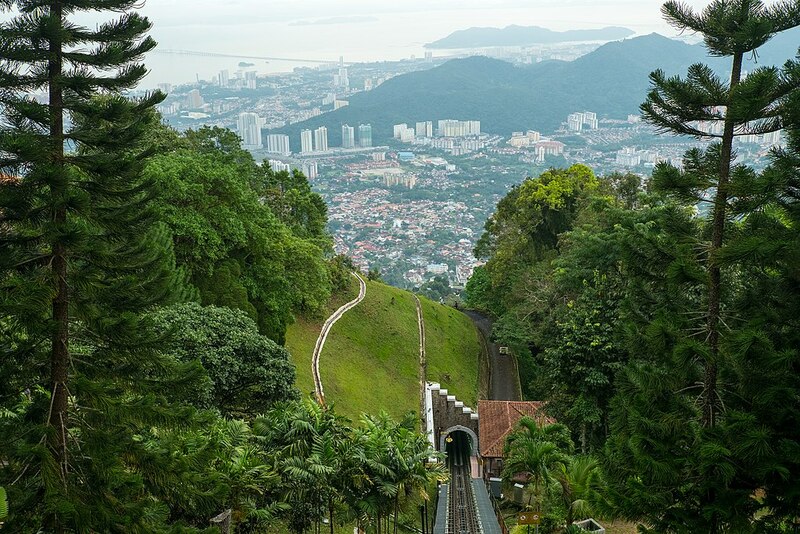 Malaysia’s first hill station, Penang Hill is 830 meters (2730ft) above sea level, visitors can ascend to the top by either hiking up or by the funicular railway, which has been operational since 1922. 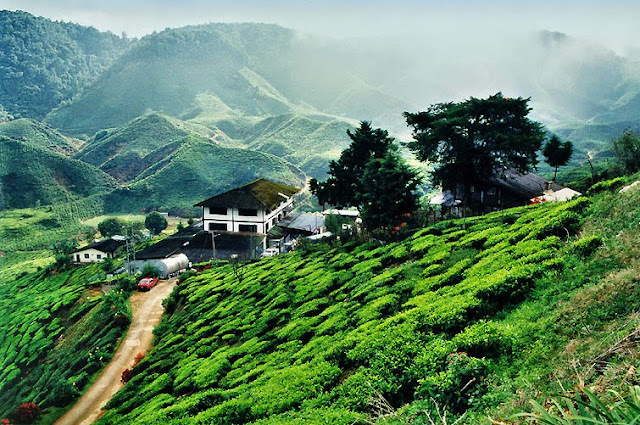 Apart from the cool, refreshing climate and the fantastic view at the summit, visitors can also view the picturesque bungalows, a beautiful flower garden and a bird park. There are bungalows for rent and a hotel for those who want to stay for more than a day. Visitors can also indulge in refreshments and snacks at a convenient tea kiosk located on top of the hill. There is a good walking track up the hill. It takes 4 hours to reach the top and is recommended only for the more energetic. 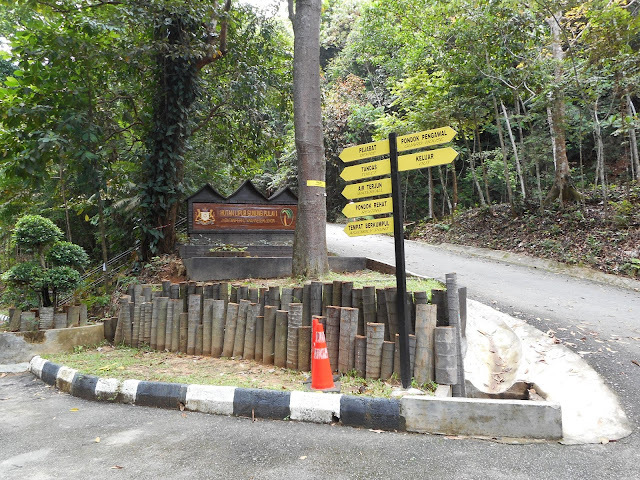 The jungle trail begins at the ‘moon gate’ at Jalan Air Terjun, approximately 300m from the Botanical Gardens entrance. The Penang Botanic Gardens, more popularly known as the "Waterfall Gardens", was established by the British way back in 1884 from an old quarry site. The beautiful grounds and the tranquility of the gardens have long been enjoyed and admired by millions of visitors. Besides being the arboretum living plants specimens, it is also the seat of botanical conservation, education and training. The Gardens also play an important role in the field of horticulture and landscaping development. 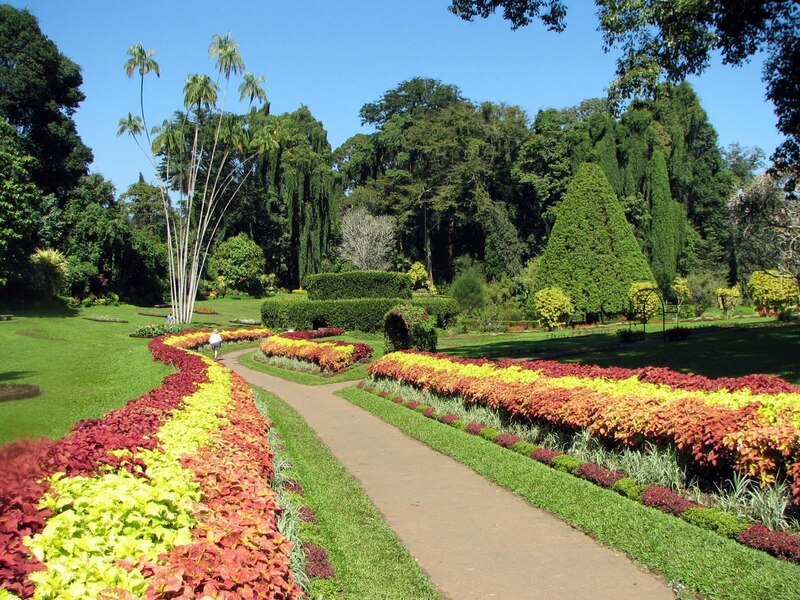 The Gardens were founded in 1884 by Charles Curtis from the Gardens and Forests Departments Straits Settlements. As the first Curator, Curtis was a devoted plant lover who tirelessly transformed the granite quarry into a garden, and greatly contributed to the botanical and horticulture development of the Gardens. Walking around the Gardens, one cannot miss the Cannon Ball Tree (Couropita guanensis) and the large buttress roots of the Sengkuang Tree (Dracantamelon dao). Look out for the Pinang Palm (Areca catechu) that lent its name to the island of Penang, and the Black Lily (Tacca integrifalia) with its unique purplish-black coloured flowers. The endemic Slipper Orchid (Paphiopedilum barbatum) and the ginger, Geoctachys penangensis, can also be found here. Look out also for the wildlife inhabiting the gardens. Commonly seen are the long-tailed Macaques, Dusky Leaf Monkeys, Black Giant Squirrels and a myriad of insects and butterflies. From afar, one could catch a view of the famous waterfall up on the hills above the reservoir. Cool streams meandering through a lush tropical forest setting and waterfalls cascading excitingly into frothing rocky pool down below, make it an ideal location for picnic. It is 12 km from Kangar and it offers camping site, car park facilities and basic amenities to make your trip comfortable. 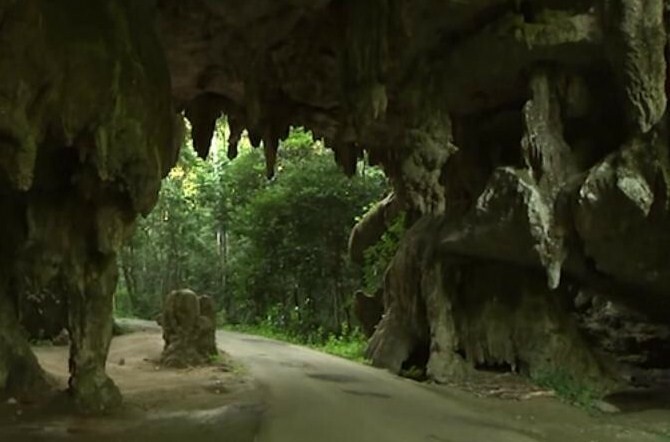 Gua Kelam, Kaki Bukit refers to the 370-metre long limestone cave at the small town of Kaki Bukit. 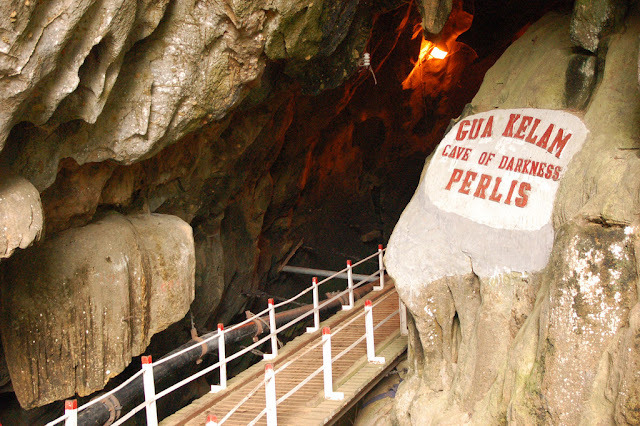 Its name literally means, "at a foothill (Kaki Bukit) lies a dark cave (Gua Kelam). Access to the cave is by way of a suspension bridge. The uniqueness of approach, as well as the experience of walking along the bridge, makes a visit to this place an intriguing and adventurous experience. A subterranean stream flows in the limestone range near Kaki Bukit for about a quarter of a mile long. As in other limestone areas, the stream has built a long cavern over the centuries. This physiographic phenomenon was enlarged throughout the length of the underground stream in 1935 by a resident Englishman who saw it as a marvellous way of transporting tin ore from a mine located near the stream entrance through the underground cavern. 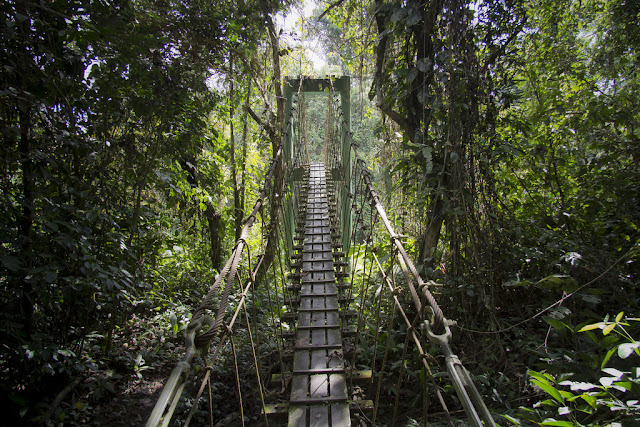 A wooden walkway hangs suspended throughout the length of the underground cavern providing a wondrous means of communication from Kaki Bukit to a valley on the opposite end-the Wan Tangga valley. 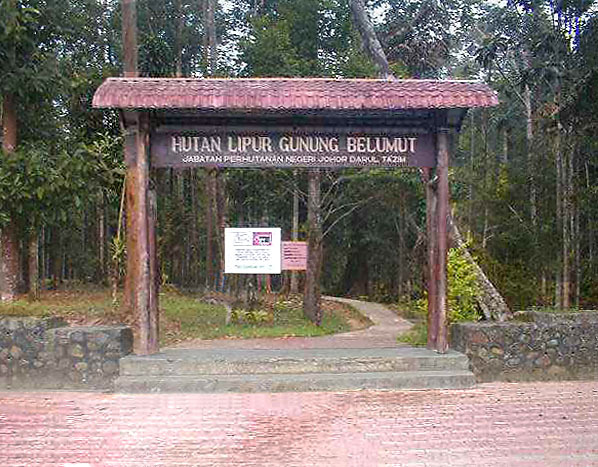 Hutan Lipur Bukit Kubu is a natural limestone cave in a forested limestone hill known as Wang Pinang, located near Kuala Perlis. The cave is an interesting geological formation. 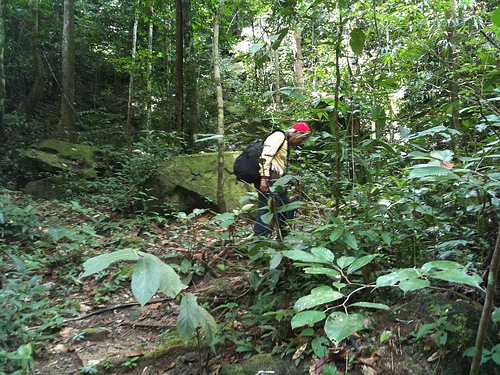 Bukit Kubu is now a ‘cave park’, sheltered and ideal for joggers and cave trekkers. The Wang Kelian State Park is a haven for nature lovers and eco-tourism buffs. Close to the Thai border, the 1,000 ha area in the Mata Ayer Forest Reserve is a treasure-trove of biodiversity. 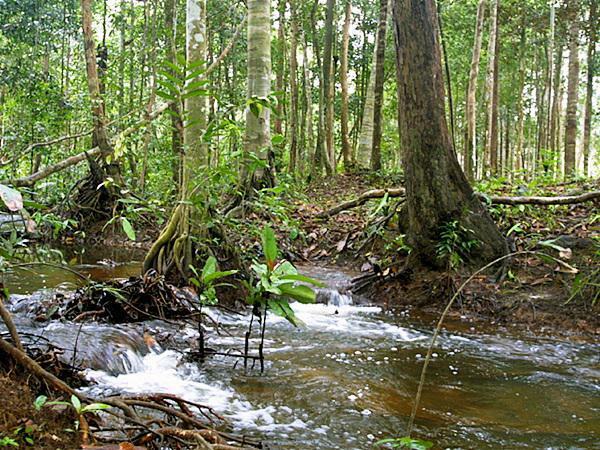 It contains one of the few semi deciduous forests in the country, closer in type and species to Thai vegetation. 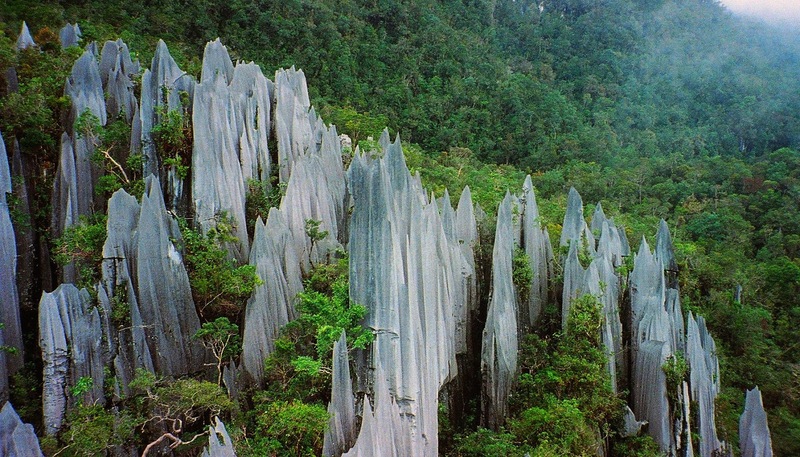 Its limestone forest is also rich in fauna, including birds, mammals and reptiles. A challenging jungle track leads from the camping area past a little tripping waterfall to the Gua Wang Burma cave system. Possibly the northern most cave in Peninsula, its narrow passages lead to chambers boasting interesting formations. 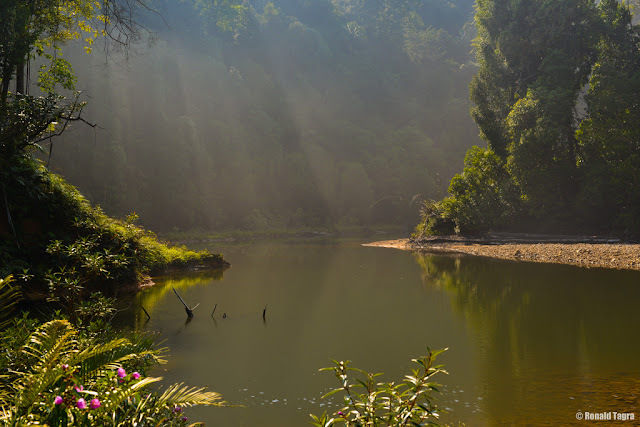 The Ulu Bendul Recreational Park located some 16 km from Seremban on the Kuala Pilah Sri Menanti route, at the foot of Bukit Angsi provides a welcome respite to the weary traveler. 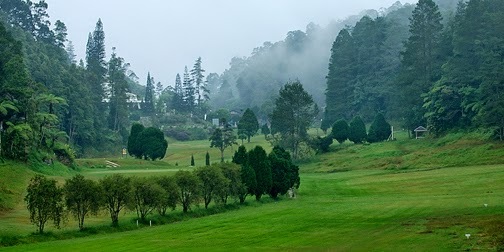 The park is one of the six recreational park parks in Negeri Sembilan developed for ecotourism purposes. Picnic lovers should find this place inviting because of its shady and leafy surroundings. The refreshing and cool water from the stream that meanders through the park offers a fun place for visitors bent on having a dip. For the more adventurous, they can go jungle trekking. To savour the best out of this park, visitors may prefer to stay at the specially designated camping grounds or rent one of the chalets in the park. 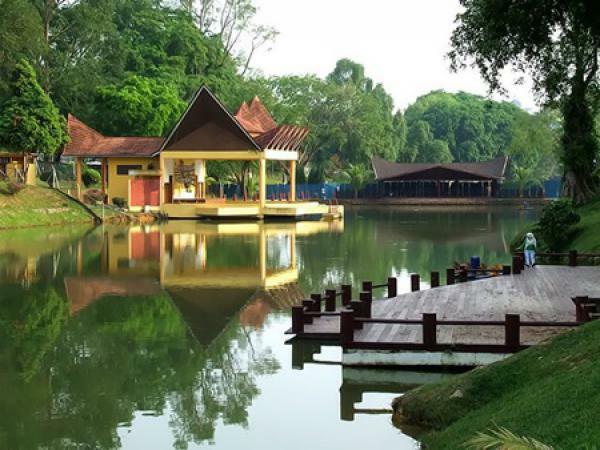 The Seremban Lake Gardens is one of the most picturesque gardens in the country. Its lush greenery and well-maintained lawns are a delight to the tired eye and often have a calming effect on many a weary soul. There are jogging tracks in The Lake Gardens for the more energetic visitor while children can frolic in the playground. For those who are content to watch the world go by, this is just the place with benches erected in various spots overlooking the lake and greenery. 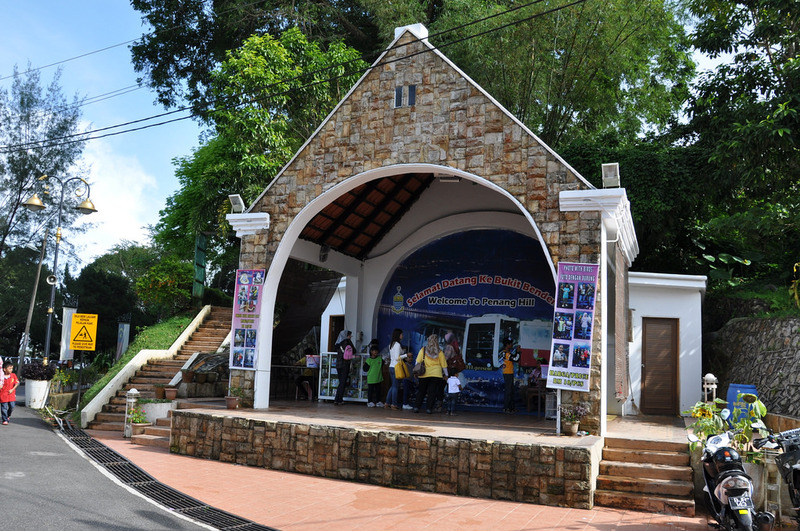 It is located on the 16 km road to Tampin. 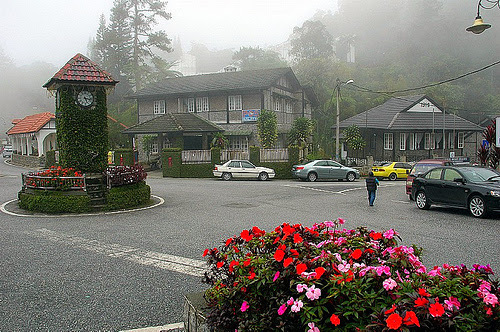 Pedas Hot Spring is a popular tourist spot in Negeri Sembilan. Rooms are provided for those who like to feel the natural warm baths at reasonable in the area. To get there, one can take the Southern Omnibus Company from the Seremban Bus Station and alight at Pedas. Taxi service is also available in Seremban. 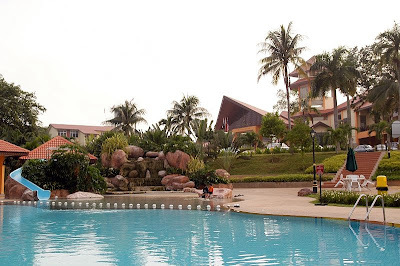 Wet World Hot Spring Pedas is located 15km from Seremban town in Negeri Sembilan, along the old trunk road headed to Tampin. Alternatively, if you're using the North South Expressway, you just need to turn off at the Pedas-Linggi exit and follow the road signs to Pedas and the Wet World Hot Spring there. The Pedas Wet World has everything you're looking for in a water theme park, promising a fun day out for you and your family. The hotspring is believed to have been discovered by locals while grazing their cattle, when the hot water of the spring caused their cattle to jump away in fright. All the facilities and attractions in this park are built to fulfill the needs of visitors of all ages. For the brave and courageous, have a go at the two giant slides that will take you through twists and turns high above before dunking you into a swimming pool at the end of the ride. There are two types of hot spring pools to choose from, so the choice is yours whether to soak along with other visitors in the public hot water pool or take a private soak in one of the many hot spring 'bathroom' facility. At about 27°C - 34°C, the naturally hot water contain minerals that is said to have healing properties - it is said to provide relief for arthritis, joint pains, body aches and a variety of skin ailments. So for those with skin irritations, do not miss out on the chance to have your own dermal hydrotherapy, particularly the hot spring footbath pool. Just adjacent to the site. It was opened to the public in 1985. This is also one of the favourite spots for bird watchers. It is along the coastal area with a panoramic view, rest house facilities are found in this recreational forest. Nearby this recreational park, you will find food stalls operating late into the night. located amidst a fishing village, this stalls offer delicious mouth-watering dishes (grilled or otherwise) of fish, shrimps, crabs and squids fresh from the sea.